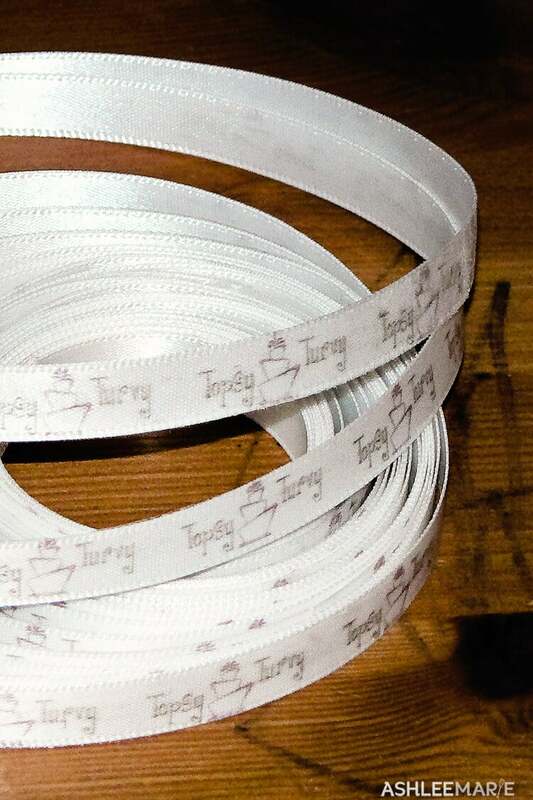 Make your own personalized ribbon! 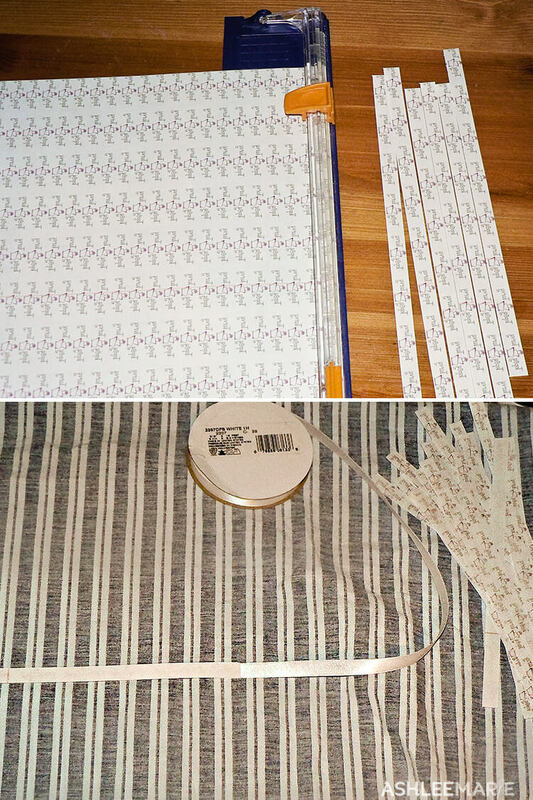 I saw this tutorial a few months ago and wondered if I could use it for making personalized ribbon instead of twill tape for labels! So I decided to try it! I bought some satin ribbon as well as some grosgrain to try. 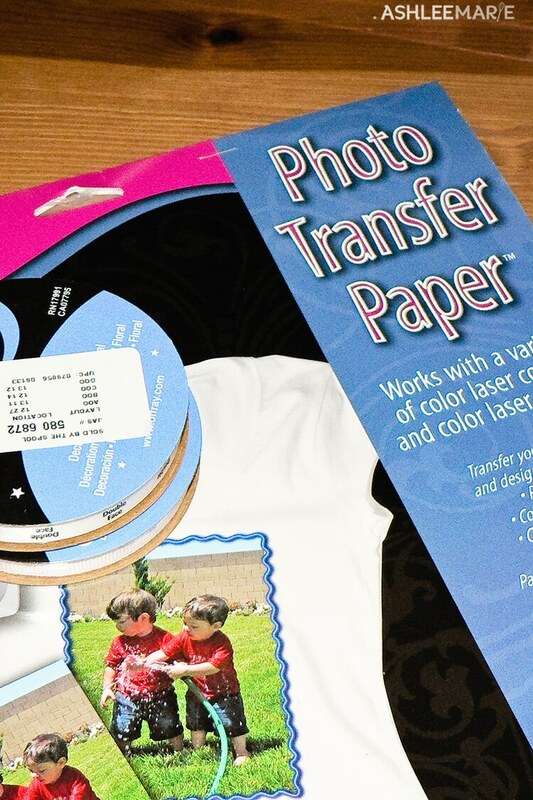 And I also got some photo transfer paper. so I used photoshop to create my pagefull of tabs. The first thing I did was to create guides on my page for every .375 inches (the width of the ribbon). Then I took my large Icon and resized it to .375 inches tall. Copy and paste a column, then to save time merge that column and copy and paste it over and over again. Once the page was finished I merged the page then flipped the image! Then I printed it out following the instructions on the photo paper. Of course the instructions weren’t super clear. It said to print on the shiny side. So I did. Apparently they didn’t realize the backing was shiny when they printed the instructions! I totally printed it on the wrong side. That wouldn’t have been a problem, just flip it and print on the other side, right? But I didn’t notice until AFTER I’d done the next step! After you print on the RIGHT side cut it into strips. Since I had already cut my strips I couldn’t print on the other side so I printed a new page and cut MORE rows! This is the step when I realized my printing mistake. I cut off one small image to test it. And instead of sticking to the ribbon it stuck to my hot iron! NOT a good thing. So when I finally got it right and was read to go I ironed one icon onto each ribbon style. The satin ribbon worked well. But the grosgrain was terrible. So I used the rest of the strips on the roll of satin. I didn’t bother taking any backing off until I finished the whole roll. My one transfer page filled an entire 18 feet, not bad, huh? Now I have personalized business ribbon to wrap around cellophane bags with cookies or cake pops! 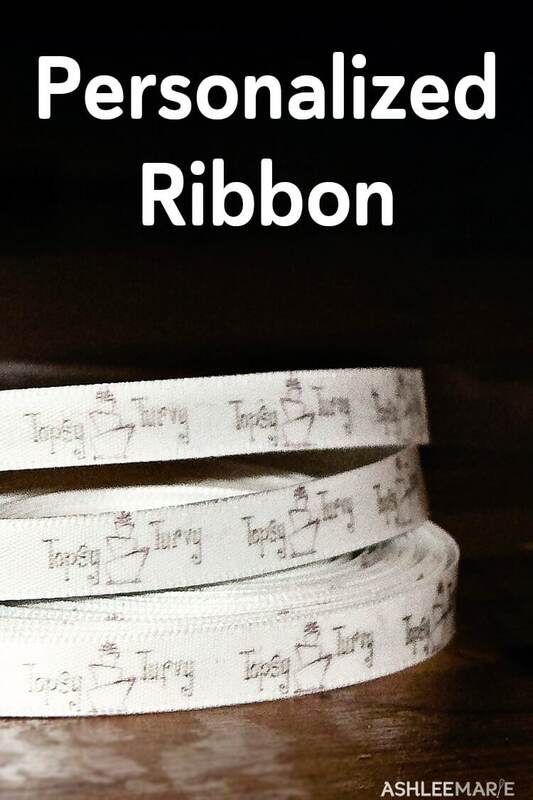 Endless possibilities, children’s names, events, personalizing a scrapbooking page, etc… I’d still like to find some twill to create labels for sewing/quiting projects as well as this ribbon! you know I made them, and then havn’t had a chance to use them yet. So they are floating around my office getting kicked around my my kids, and they seem to be holding up fine. Thanks for the reminder. I’ve got to start wrapping it around the items from my store when I ship them out! IDea: I don’t know from Twill tape, but look into bias tape that they sell in fabric stores. it tends to be flat, matte, and cotton or another natural material. Thats a good idea! Thanks! The idea to print satin ribbon at home is perfect for me. Not only nice to wrap but also to decorate. 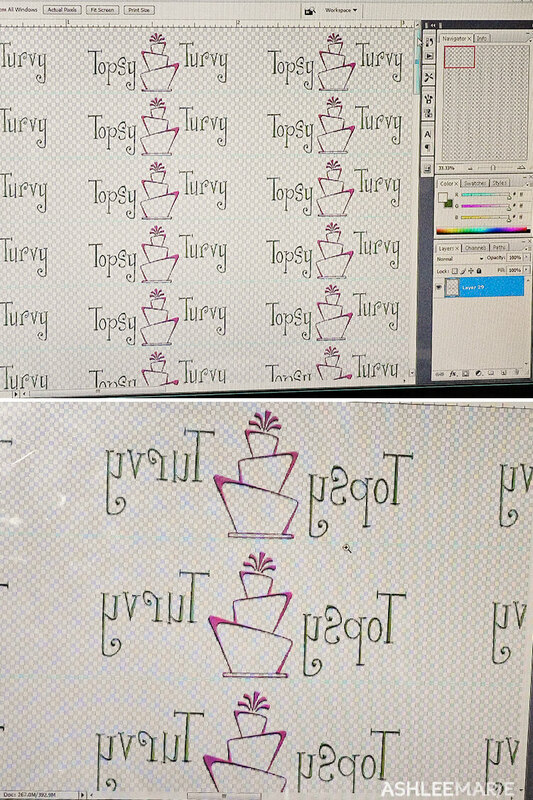 Hello, I tried to with the transfer paper, but it can always see the transfer paper y the sections there is nothing printed… any ideas or recomendations? me too, that’s the non perfect side of it all. When cutting your strips cut it to the exact size of the ribbon size you want.